We are going to share dua before entering the toilet. It is good for every male, and female to read this dua before going to restroom (bathroom). 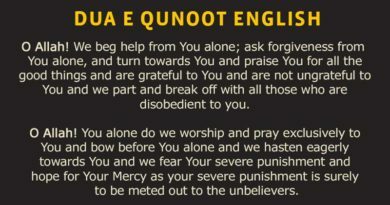 Below we are sharing the Supplication before going toilet in Arabic and English. (Before Entering) [I begin with the name of Allah]. (Then) Oh Allah, I seek protection in you from male, and female devils. [Bismillaah], Allaahumma inni a’oodhu bika minal khubthi wal khabaa’ith. Source: Al-Bukhari, cf. Al-Asqalani, Fath Al-Bari, among others. The wording here is from Ibn Majah 2/335.